How was your weekend? I attended a brunch and for the first time in years, actually baked a dish instead of grabbing something from the store! Oh the wonders of life post grad school! On the makeup side of things, I continue my trend of being super lazy and buying convenience products with Maybelline’s Baby Skin Instant Cheek Flush Blush. This will be publishing a little late because someone had to take a nap. It’s been one of those weeks. Not a bad week, just the kind of week where you spill coffee on your curtains, clean dog vomit out of your bed, and spill 32 ounces of water in your nightstand, kind of week. We’ve all been there. I think. Anyway, my best friend is coming in town tonight so it will be all good in the neighborhood. 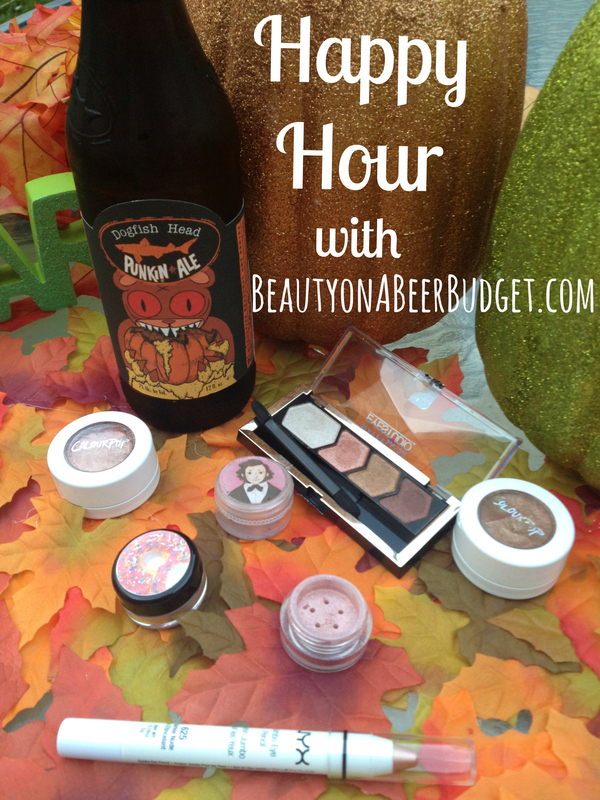 For this week’s Happy Hour, I wanted to share 7 of my favorite rose gold eye shadows that are all under $8! 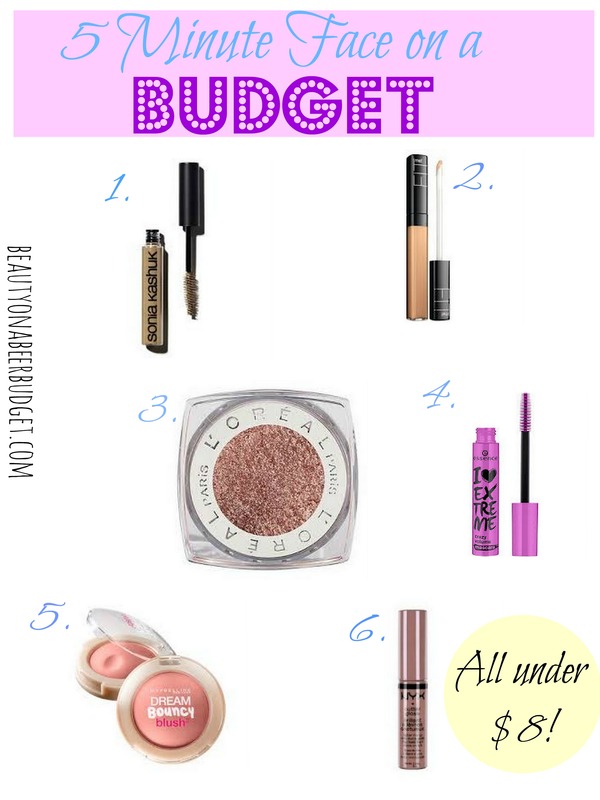 These shades range from copperish to pinky champagne, but they are all beautiful and cheap. 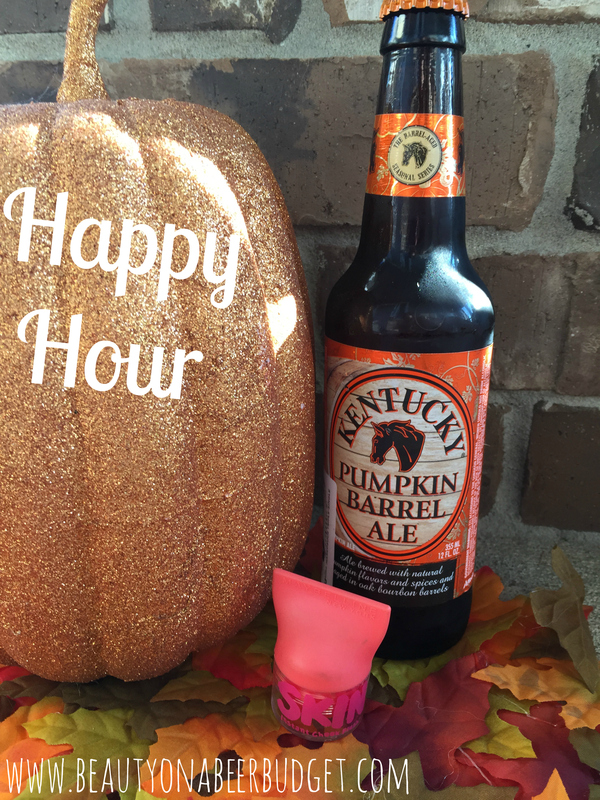 I’m also switching things up on you and sharing Mr. Danger’s favorite pumpkin beer! Don’t worry, he has good taste. So let’s keep Happy Hour going all weekend! Wow that is a lot of eye shadow! 1. 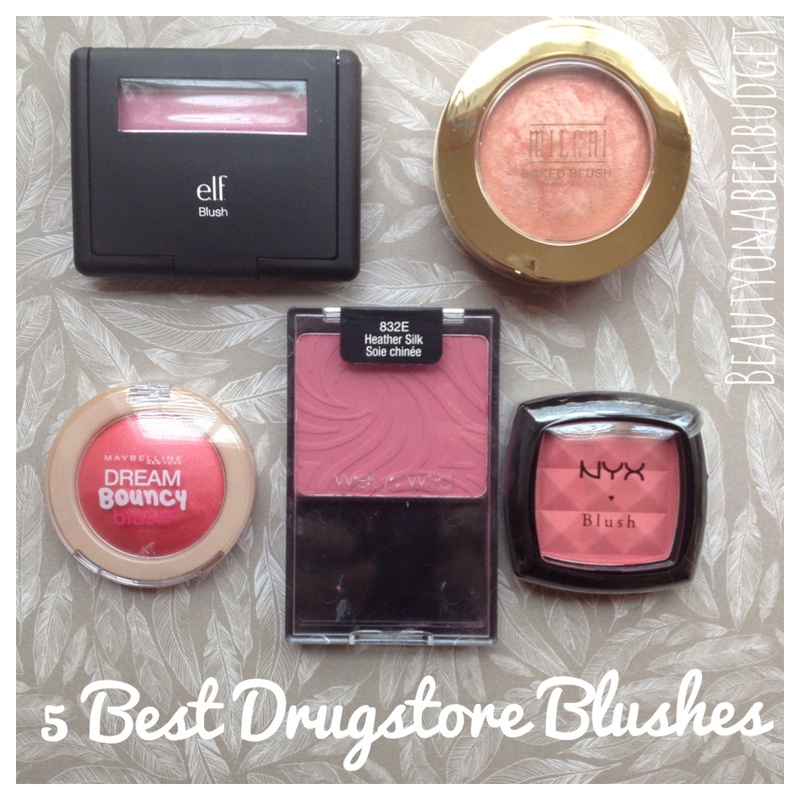 Many drugstore cream blushes are overpriced. 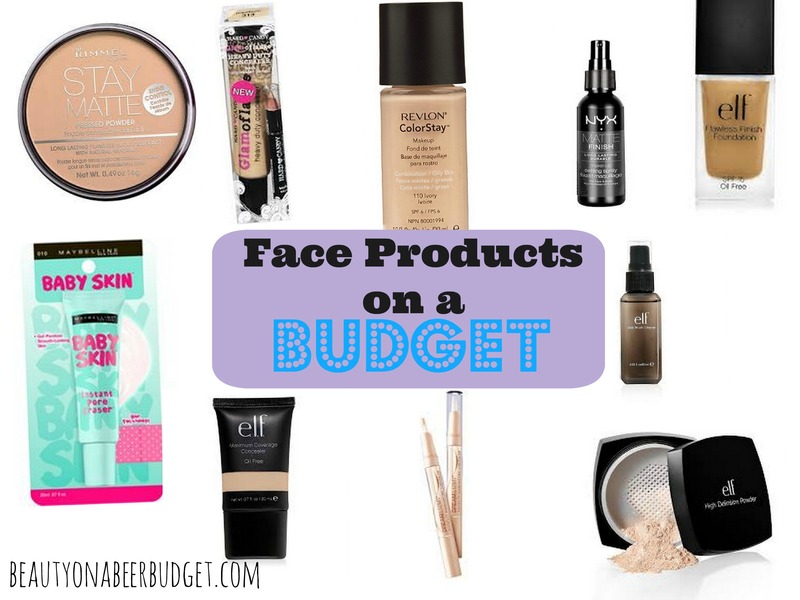 I decided not to buy anything over $10, which ruled out some brands like Revlon and L’Oreal. 2. I’m personally not the biggest fan of cream blush. I’m a powder girl apparently. I guess you never know until you try…7 cream blushes. 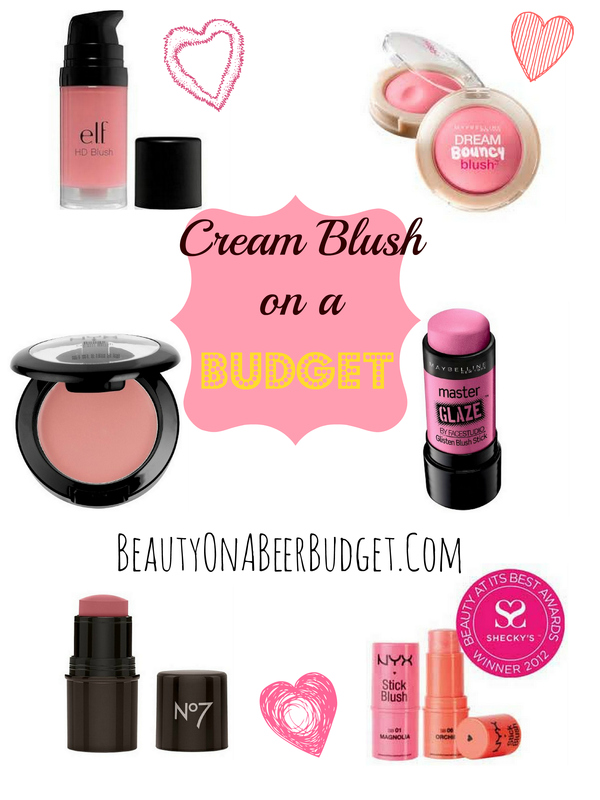 And many people actually do love cream blushes, so hopefully I can lead you to some cheap ones that may work for you. 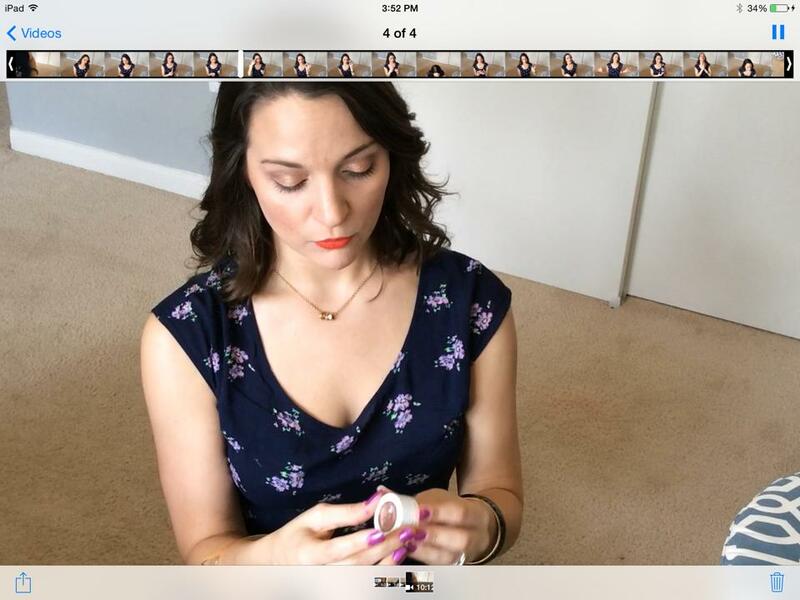 I also threw in a bonus way to try Benefit’s Posietint! 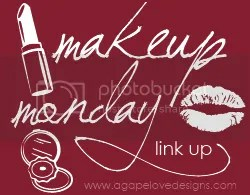 I hope your week is going well! 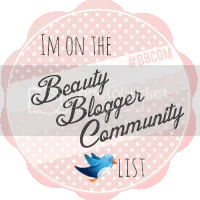 The topic for this post has been especially relevant to me this week as I adjust to 5:30 mornings again. We’ve all been there some of us daily: The morning that something goes wrong and we’re in a rush to get out the door. It’s not a full face of makeup, but it’s done in 5 minutes, and you look awake and put together. Today’s products to help you get ready in a flash are all under $10, so that should add some pep in your step this morning! *TBH I have a 15 Minute Face. I don’t move fast in the mornings. At all.